As the housing market begins to slow down due to several factors such as a reduction in foreign investment, the banking royal commission report and an oversupply of apartments centred around main infrastructure and services, we are increasingly seeing developers switch their strategy to a more in-house focused model which sees the developer manage all aspects of the build from the construction through to the marketing, leasing and the management of the property, for both the short and long term to ensure they gain their desired return on investment. The security and technology requirements for this type of model are significantly different to those in a Build to Sell model. 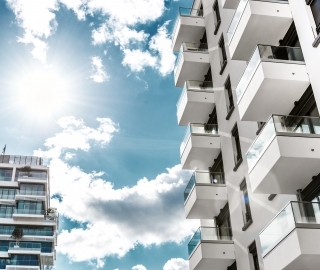 In particular, developers employing a Build and Lease or Build to Rent model need to think about how they can ensure the building is safe and secure given the potential for increased traffic and resident turn-over. In addition, developers should also consider what technology they can provide, specific to their development, to attract tenants and retain them for the long term. 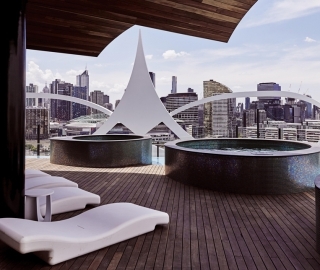 Having worked in the security industry for over 15 years and having been involved in the provision of security and technology systems across many major residential developments including Sirius and Zen at Wentworth Point and Mascot Central; and having worked with many well-known developers such as Meriton, Billbergia and Payce Consolidated in my time, I share my thoughts with you on this topic below. Building apartments and then renting a number of these apartments because the developer chooses to keep a percentage of the portfolio is not a new concept. Many major developers have been following this strategy for years, making leasing an important part of their offering. 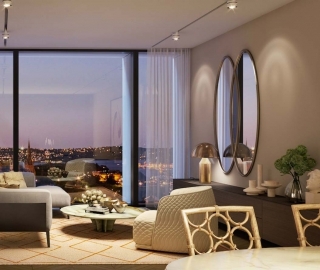 We only need to look at Meriton to see that it’s a model that’s clearly working. There has been and always will be, a market for leasing in inner-city locations and close to major infrastructure such as schools, trainlines and hospitals. While in practical terms this is what the Build and Lease model looks like, the Build to Rent model is much broader than this. The Build to Rent model is a holistic approach that provides modern affordable housing for those unable to purchase property on their own that is safe and secure to live in whilst providing a modern lifestyle through technology services. Safety and security become an integral consideration for those making decisions about where to rent and eventually where to buy. When considering security options for these models, developers often ask me “What do other developers do?” A question that often stems from their need to balance security requirements with what the resident needs, what the resident wants, and the potential return on investment. My response is always the same – good developers have a philosophy on security which I believe goes something like this, “build a secure building, and it will sell (or rent)”. As more developers move away from selling, short-term stay options will arise and the increased traffic in the building will call for more cameras to oversee the movement of tenants around common areas. What should developers think about when it comes to safety and security? 1. Adequate security for all lifts: Cameras and access swipes should be considered in all passenger or vehicle lift cars interfaced with intercom for visitor access. Owners tend to be more security-conscious, so if they see something suspicious they are likely to report it but tenants on the other hand, often prefer not to get involved with issues. 2. Secure main entries: This is fairly obvious but it is necessary to ensure that intercoms, cameras and access swipes are installed at all main entries (internally and externally). 3. Secure common areas: Cameras and access swipes should also be factored in at common areas such as the BBQ area, roof-top cinemas, meeting rooms, main lobbies, pools, gyms, and entries and exits to the public toilets for these areas. There is also a need to control access to these areas to avoid mis-use and vandalism. 4. Making the basement safe: Consider increasing the number of cameras (and lighting) in the basement. CCTV should look at covering lift foyers, storage cages, fire stairs leading into basements and general carpark areas where many issues such as break-ins occur – increased presence of cameras provides move coverage and acts as a deterrent for unwanted guests. Most of the works that are requested following completion by owner’s corporations are cameras in these areas as residents often keep their most expensive assets in the basement. We are often asked about protecting storage areas, mail-box areas and main entry and exits to the basement such as fire exits and vehicle ramps. 5. Ground-floor units: Consider fitting ground floor terrace units with back to base or back to mobile alarms, especially if they have street frontage courtyards. Similarly, gates off the street that lead into a courtyard should be protected with card readers and intercoms for access control. While renters and buyers appreciate the outdoor space, they are often concerned about safety. What should developers think about when it comes to technology services for these models? 1. Call forwarding: An intercom system with call forwarding to mobile capabilities via an app. This allows residents to receive an intercom call anywhere in the world so that if they are not home and they receive a visitor or delivery they can answer the call. 2. Automation: A Z wave voice-controlled lighting and blind control automation system within all apartments or penthouse apartments via an app. 3. Mobile phone access for users and visitors: Bluetooth card readers and apartment door locks on the apartment front entry doors allows for ease of entry using a mobile phone. This also means that residents can send electronic access details to visitors via text message to provide entry through the foyer, lift and apartment door via an app. 4. Visitor carpark management: A Licence Plate Recognition solution for visitor car park management and visitor space bookings via an app and management portal, helping building managers better control the small number of visitor spaces available and identify over-stayers and misuse. 5. 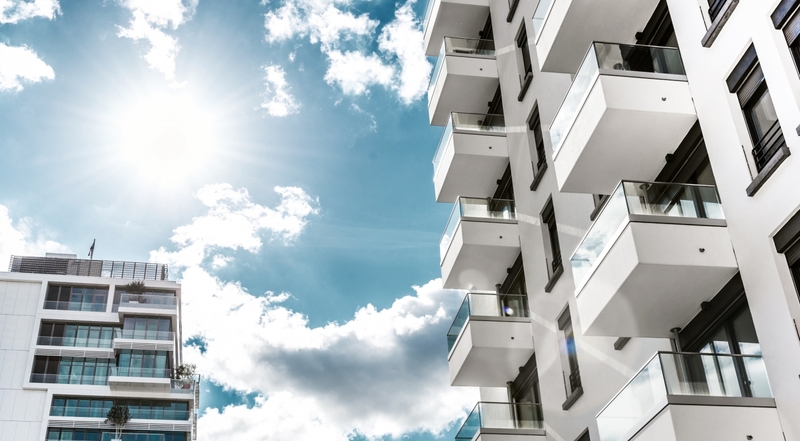 Booking facilities & building management requests: A solution that allows residents to book facilities such as apartment cleaning, childcare services and car share via an app, as well as sending requests to building management. 6. Assisted living: A solution that will allow apartments to be fitted with voice control automation integrated with movement sensors to monitor movement, falls, heartbeat, smoke and temperature and which will communicate via an app to an onsite nurse or off-site relatives and doctors. 7. Payments: A solution that allows residents to pay rent via an app or be linked to VISA for awards and allow residents to manage the payment of bills and expenses. Deciding on the appropriate security and technology services for a build is an important consideration for developers as these services not only help keep their buildings secure and connected, but also contemporary and attractive. 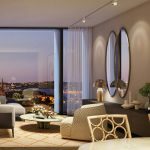 As the market looks for differentiation, it makes sense that developers who choose to focus on creating more than just an apartment block but a secure and connected community, are also working to create a greater value proposition for their future tenants in the short-term and for their buyers in the longer term. Please note: This article represents an opinion piece. It is not intended to be taken as advice. If you are interested in a tailored security system for your next development, please contact us and we can assist you in selecting an suitable solution for your project.